Shoppingcartdepot.com is a bullet-proof, hands-off, easy to use ecommerce solution, with all of the web tools and recurring billing options your business needs to market and sell products, services and digital media online. You can start selling without merchant account! Try it for free! Various payment plans to choose from provide a cost effective shopping cart solution for you. When you need an online shopping cart system for your business that will provide flexibility, security, and scalability shoppingcartdepot.com is the right choice. 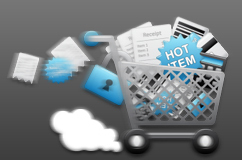 It is a fully integrated shopping cart software that will boost your online sales. Easy to use and easy to manage this hands-off hosted cheap shopping cart software provides a significant cost savings and operational efficiency. See How To Build Your Online Store. No Merchant account - No Problem!